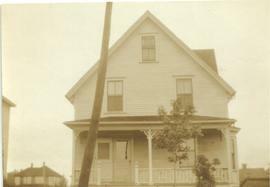 Item is a photograph of a front-angled view of Willard and Jennie Wry’s home built by Willard on Charlotte Street, Sackville, NB, at the end of Wry Lane. 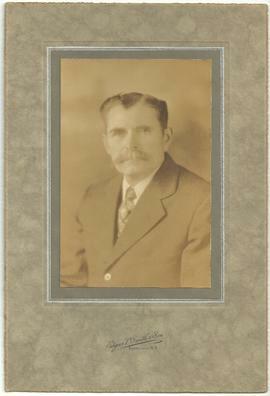 Item is a portrait photograph of Willard Wry as a middle-aged man photographed by Edgar P. Smith & Sons of Sackville, NB. This series contains 13 textual documents that pertain to the history of both the Kingston Peninsula and the Gorham family. These documents include written histories by the family, vital statistics, and handwritten information on family members.